CLEVELAND – After being designated for assignment on Friday today pitcher Zach McAllister was officially released by the Indians, ending his long tenure with the franchise. The Indians had seven days to trade, release or try to get him through waivers, and they could have worked out a deal with him and sent him to the minors, but chose to give him his release. It was a rough season for McAllister, who came to the Indians back in 2010 in a deal with the Yankees for Austin Kearns. He started as a starter for the team for a few seasons, but after he started to decline he was sent to the pen where he finished out his tenure with the team. This season he went 1-2 with a 4.97 ERA in 41 appearances. He had inked a one-year deal in January to avoid arbitration. In other roster move, today the Tribe activated right-hander Evan Marshall from the disabled list and optioned him to Columbus. Marshall this season is 0-0 with a 7.71 ERA. 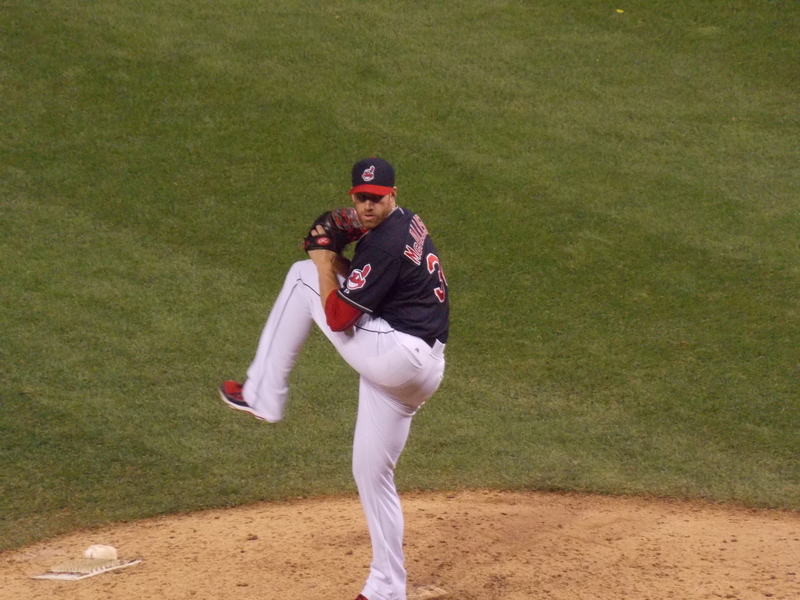 He’s pitched seven innings at the Major League level, allowing six earned runs.